Long-term partners, Clauger and Soteck, are now working closely together to enhance business and better serve the North American market. We are pleased to announce that Clauger will be strengthening their 15-year partnership with Soteck to increase expertise and position ourselves closer to those we serve. Clauger is rapidly expanding globally and are excited to strengthen its presence in North America in partner with an established industry leader. 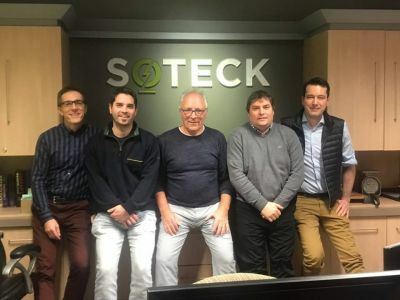 Soteck is a Canadian company, based in Quebec, specializing in hygienic climate control and energy efficiency for an array of industries and markets (i.e. paper, textiles, cheese, metallurgy, processing plants, hatcheries, etc.). Soteck, like Clauger, has an international presence and their team serves clients throughout China, Australia and the US. Through this merger, our two companies wish to strengthen synergies via our base of shared values. The experience and knowledge that Soteck has in the industrial food sector, coupled with their specialized equipment for the hatchery market, will increase and improve the portfolio of both companies and better serve clients.